It's no secret that Supergirl will be part of "Injustice 2" as the heroine was confirmed as a member of the lineup when NetherRealm Studios introduced the game via a trailer. However, fans only got a glimpse of what Supergirl is like in the game - until now. NetherRealm Studios recently released a gameplay footage showcasing Supergirl's combat abilities and some of her skills. IGN first released the video that showed a walkthrough of how Supergirl can take down her enemies in "Injustice 2." According to GameRant, Supergirl's power can be compared to the powers of her cousin, Superman. Instead of relying on her super strength, the heroine depends on her agility and combo moves to make sure her foes cannot fight back. Some of the moves that Supergirl has are familiar to those who have been playing the fighting game, which should make her a favorite character among fans. As shown in the footage (see below), fans can expect Supergirl to use her ice breath, "teleportation" and heat vision. The "Injustice 2" character also has close-up attacks, which only tells players that she can be great at both melee and ranged attacks. Her Last Daughter of Krypton combo move was also used against Wonder Woman in the footage, giving her no chance to counterattack. Given that Supergirl's power in "Injustice 2" may be somewhat the same as Superman's, some are worried that she will just be another version of her cousin, ScreenRant reported. This would also mean that Supergirl could just be another character that is as annoying as Superman in the original game. Heat vision is one of the abilities that fans are concerned about being too similar to Superman's but the new footage showed its limitation. There were also concerns that Supergirl might not be a balanced character in "Injustice 2." As noted in ScrenRant's report, the heroine appears to be a mix of Scorpion and Subzero but hopefully, NetherRealm Studios will apply some balance so she comes out as a strong character but not all too powerful. Avid gamers have been restlessly waiting for the next installment in the hit Red Dead series dubbed as, Red Dead Redemption 2. which, the game developer, Rockstar Games have confirmed to arrive in fall next year. According to an analyst, RDR 2 will be the most popular game of 2017. Michael Goodman, director of Strategy Analytics claims Red Dead Redemption 2 will witness mammoth success when it arrives next year, regardless of the month it hits the store shelves. During an interview with We Write Things, Godman said Rockstar Games have adopted a great strategy of distributing their games with different dates in 2017. Rockstar Game's Red Dead Redemption 2 has been subject to a slew of leaks and multiple reports surrounding the game's release date, characters, map leaks and more. Let's check out what some reports floating online suggest about the long awaited game. 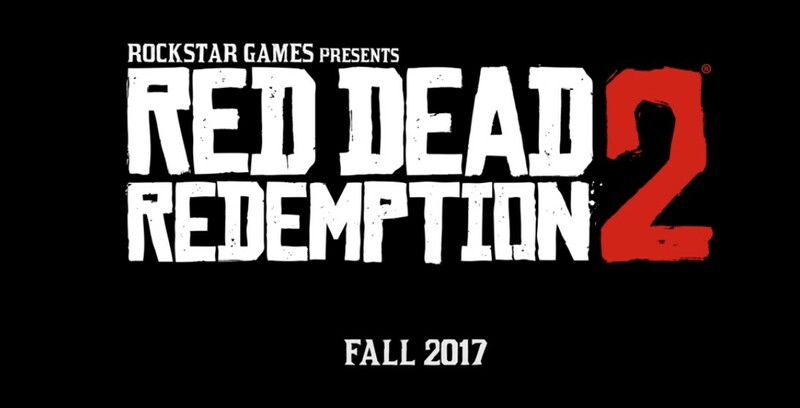 Still riding on the success of GTA 5, Rockstar Games officially announced that RDR 2 will be released in fall 2017. The protagonist, John Marston's upcoming adventure is set in America's unrelenting heartland. If the regions, vast lands, and swamps in the trailer are anything to go by, the game will be set in the Far West. The Red Dead Redemption 2 release date will cause unrest among its competitors, according to GamingBolt. RDR fans were bowled over when a character bearing a striking resemblance to John Marston made an appearance in the trailer. As expected, this stirred conversations among RDR fans about the possibility that John Marston was probably still alive. Some zealous fans went as far as comparing the silhouettes and found that the similarities are quite uncanny. This cemented previous speculations that RDR 2 is indeed a prequel. Judging by the fact that the vast landscape is brimming with wildlife, the gameplay is likely to feature hunting as well. Aside from that, there is a shot of a man transporting a dead deer in the trailer. Other gameplay component spotted comprise of wagons, stores, campfires and horseback riding. There is also a possibility that herding may be included in Red Dead Redemption 2. Although, there is no word about how Red Dead Redemption 2 will be related to the first game, mounting shreds of evidence indicate it will be a prequel. Moreover, there is hearsay that John Marston will make an appearance in the game, but as a second character, citing the events that took place in the first installment of the game. RDR fans are also hoping that the sequel incorporates some GTA 5 elements such as allowing players to switch between characters in the game. Red Dead Redemption 2 will be available on PS4 and Xbox One in Fall next year. The game can also be pre-ordered at Rockstar's website or on GameStop for $59.99. Gamers from around the world are counting down the days for the release of Resident Evil 7 Biohazard in January. But before the full game goes live, Capcom makes sure that the fans are constantly fed with scary trailers and heart pumping gameplay footage that surely ups the excitement even more. For the past several gameplay videos Campcom has released, fans of the franchise were shown Resident Evil 7‘s terrifying derelict house and the members of the Baker family who own it. The videos were short and usually commentated. It features how the upcoming game’s cannibalistic family is not that easy to defeat. In fact, Gamerant previously posted a video showing Jack Baker being unharmed by the shots of Ethan, who is the playable protagonist in the game. In the video, the patriarch of the Baker family did not even react to the first shot Ethan fired. The latter then fired another one and it seemed like he killed Jack. However, Jack got up few moments after. He looked unharmed and more fired up. If the scene and the title of the video, Immortal, proves to be true, then players will have to figure out how to let Ethan defeat a somewhat new breed of enemy. Recent VR demos also show that the Baker family is somewhat unbeatable. Ethan escapes the Baker family’s house? There is, however, a new commercial that was released suggesting that Ethan actually survived the obscure house. In a report by Zero Lives, the video gives out new gameplay footage that includes some parts of the escape. The said commercial was released in the Japanese market and no reports were made yet as to whether it will be released at all in the Western market. Although that is the case, the commercial features English voiceover with Japanese subtitles. Resident Evil 7 Biohazard is scheduled to be released on January 24, 2017 for PlayStation 4, Xbox One and PC. 5pb. has shared the debut trailer for Re:Zero -Starting Life in Another World- Death or Kiss. Featured above, the first trailer for the game doesn’t have much in the way of gameplay, but it does have lots of dialogue bits with fan favorites Rem and Ram. In case you missed it, you should read up on our previous report for the game. It’s worth mentioning the story is a somewhat of a break from the original – you’ll be romancing ladies to save your life. Re:Zero -Starting Life in Another World- Death or Kiss is launching for both PlayStation 4 and PS Vita in Japan on March 23rd.